ON WISCONSIN! The former Betty’s Half Moon Saloon will soon reopen as the state-pride infused Wisco's. 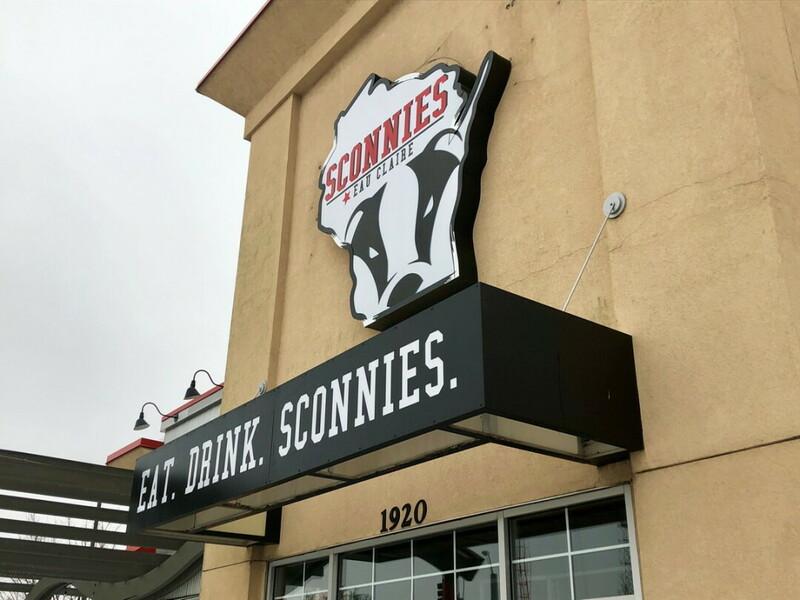 UPDATE 4-2-19: Sconnies has changed its name to Wisco's. One local eatery shut down and another quickly takes its place. Longtime Eau Claire restaurant Betty’s Half Moon Saloon, a buffet and trivia hub, closed its doors for good early last month. Only days later the location was rebranded as Wisco's by King Pin Management. David Burg of King Pin obtained Betty’s liquor license in February, and many of the former eatery’s employees had the opportunity to be rehired to work at Wisco's, 1920 S. Hastings Way. Burg, who also owns Wagner’s Lanes, Thirsty Badger, Stout Ale House, 44 North, and the Broadway Bowl in the Chippewa Valley, said the new location will be entrenched and rooted in Wisconsin tradition. Wisco's will offer many Wisconsin favorites such as cheese curds, burgers, brisket, salads, wraps, and more. In addition to having at least 24 beers on tap at any given time, Burg said some alterations will be made to the interior of the building to give the space a more open feel (as opposed to Betty’s more segmented buffet layout). Burg said the date for Wisco's to be open and operational is a rapidly approaching. Some construction needs to be completed in the interior of the bar, and various other logistics need to be settled. But the current plan is for the location to be open by the end of March. In addition to the Midwest-friendly menu and the plentiful amount of savory brews, Burg said he hopes Wisco's will be a destination for patrons to play games and have a great night in a safe space.